Lenovo YOGA 3 Pro 13.3" QHD+ 4K Laptop Multimode Intel M 5Y70 8GB RAM 256GB SSD. 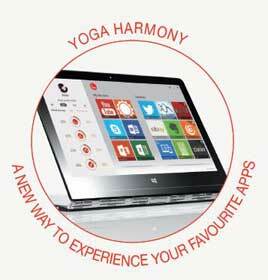 Lenovo bring users another amazing flexible device with greater limits. 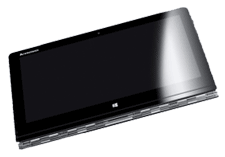 Lenovo yoga 3 gives you the utility of most flexible device with enhanced features from Lenovo yoga 2. Lenovo has given a superb feature to its portable laptop. This amazing laptop can give you the productivity of the laptop and fun and entertainment of the tablet all in one. 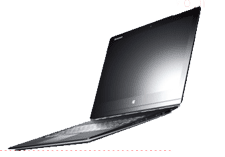 Lenovo gives you a four possible working positions. Laptop position for increased productivity. You can simply open it as a laptop and be productive all the way. Tilt it a little and make it in a stand position for your easy typing on tablet. Make the best use of you tablet screen and be productive with touch screen mode. Tilt it more the other way and make it a standing tablet that allows you enjoy longer movie watching hours with all your hand free. Watch it with your group and enjoy with your friends. Fold it all the way back, in compact position and enjoy full fledge featured tablet for your entertainment and gaming session ahead. Lenovo has devised a laptop convertible which is claims to be the worlds thinnest convertible device. This device can be easily used with the multi-mode features into four possible positions and with all the positions, when folded into the tablet becomes the most thinly folded tablet in the world. The laptop is not only HD but is fully touch screen display. 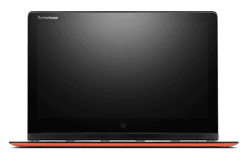 Lenovo has put toghether a stunning visual display with touch screen for maximum utility of the laptop. The screen is packed with amazing pixel density of 3200x1800 pixels that gives users a super fine picture quality to enjoy. With JBL speakers in built with in the device powered by the Maxx technologies, the movie watching and music listening experience get a boost and enhanced enjoement is what you get by Lenovo convertible laptop. Lenovo knows how amazing is your device usage experience must be and how involved you will going to get, so Lenovo brings a superb convertible device with excellent battery timings of up to 7.2 hours long battery hours. Lenovo gives multi options for connectivity such as Micro HDMI that allows you to connect your device with big screen TVs. And additional Bluetooth connectivity and wifi connectivity for faster transfer and performance.